Most of the power supplies available now are a.c. 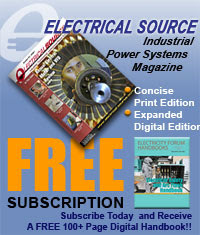 Therefore a transformer for welding is most commonly used as compared to motor-generator set. Moreover motor-generator set has to be kept in the running position continuously during the weld is made. Welding transformer is a transformer having thin primary winding with large number of turns. While the secondary is having more area of cross-section and with less number of turns. This ensures very high current and less voltage in the secondary. One end of the secondary is connected to welding electrode and another end is connected to the pieces to be welded. Due to the contact resistance between the electrode and pieces to be welded, when a very high current flows, I2R heat is produced. This heat is very large. Due to this heat, a tip of the electrode melts and fills the gap between the two pieces. A winding used for the welding transformer is highly reactive or a separate reactor may be added in series with the secondary winding. 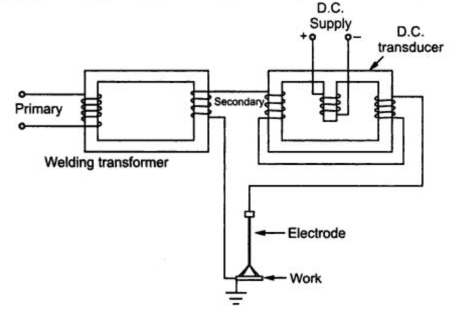 Volt ampere characteristics for a welding transformer is as shown in the Fig. 2.
i) Tapped Reactor : In this, output current is regulated by taps on the reactor. This has limited number of current settings. In this method, the relative distance between primary and the secondary is adjusted. When the distance between the coils is large the current obtained is less. 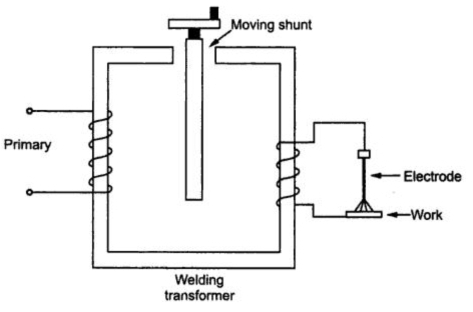 iii) Magnetic Shunt Reactor : In this method, position of central magnetic shunt can be adjusted. This adjusts the shunted flux and hence output current gets changed. 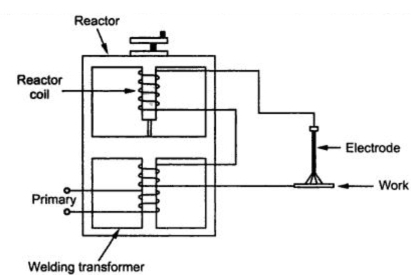 iv) Continuously Variable Reactor : The height of the reactor is continuously varied in this method. Greater the core insertion greater is the reactance and less is the output current. The reactance of the reactor is adjusted by changing the value of d.c. excitation obtained from d.c. controlled transducer. 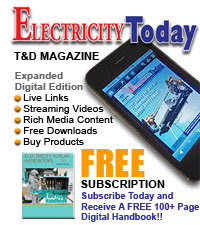 More the d.c. currents, reactor approaches to saturation. This changes the reactance of reactor and hence changing the current.